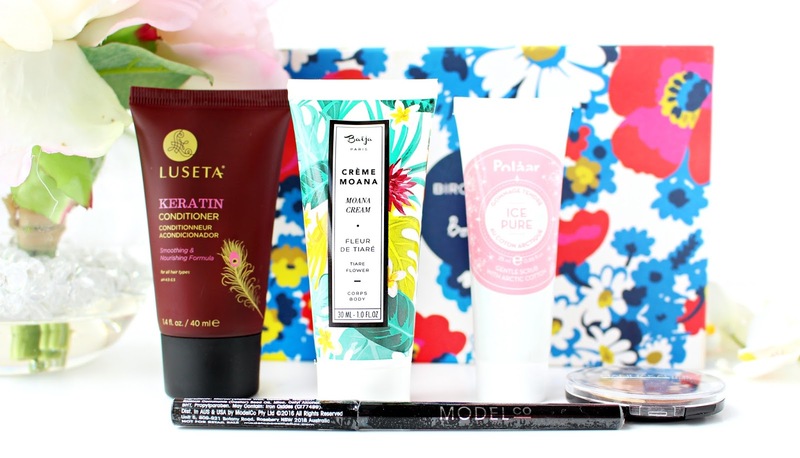 Who doesn't love a beauty box? It's great to try out new brands and of course create a lifetime supply of samples! 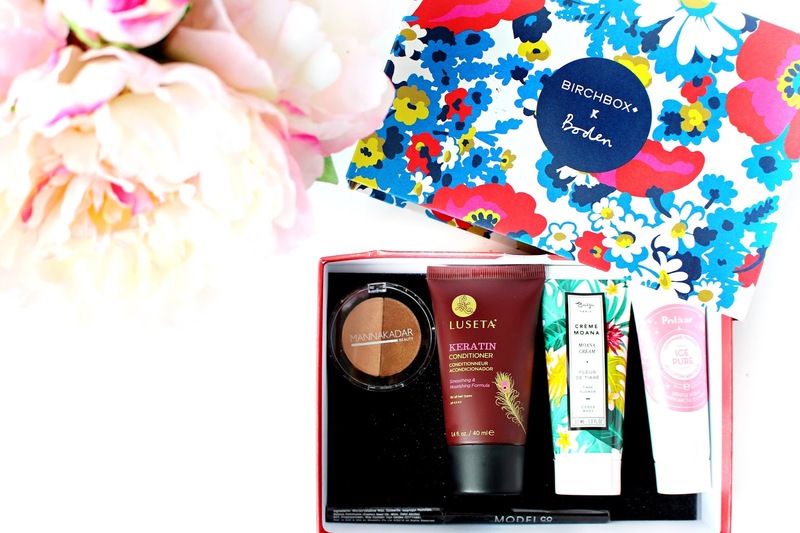 Find out what I loved from the April Birchbox and what I wasn't as fussed on. Mannakadar are a totally new brand to me, which is one of the main reason I love subscription boxes. Described as a 3-in-1 product the universal and lightweight shades can be used as a highlighter, bronzer or eyeshadow duo. Verdict ✗ - Sadly, I'm not a fan of this product for bronzing and highlighting purposes. Despite having great colour pay off and looking great in the pan, I found the darker shade quite muddy and hard to work with. The quality of the packaging also wasn't great and part of the clasp broke off on opening. 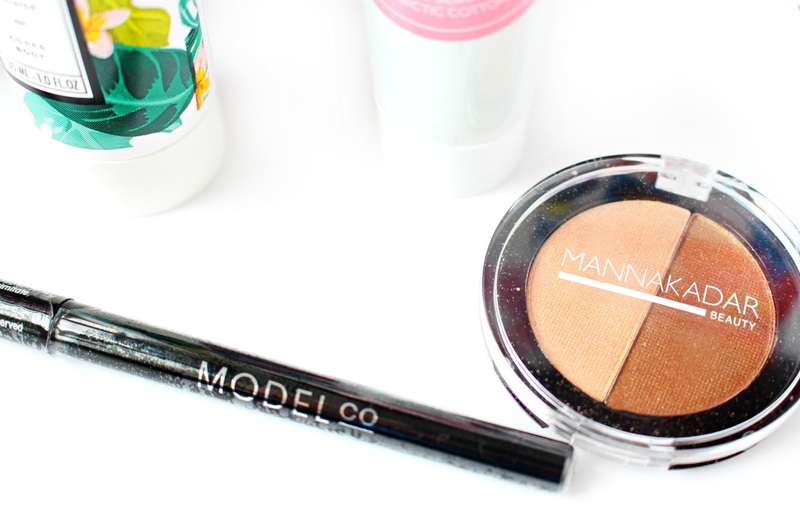 I do quite like the highlight shade, but my next step is to trial these two shades on my eyes. Another new brand on the block (for me anyway) described as a luxuriously nourishing conditioner created especially to tame your wild mane, this was a product I was really looking forward to trying as I struggle to find conditioning products that I really like. Verdict ✓ - I love it! I've never used anything from this brand before, but this conditioner not only smells amazing, but actually does such a good job of conditioning my wild mane. My hair tends to get oily/built up at the roots, but dry coarse and generally wild throughout the lower lengths. My hair is left feeling moisturised, smooth and fabulous. Well that's a mouthful ha ha... and again a brand I've not tried before. Packed full of coconut oil, Shea butter, cupuacu, jojoba wax and Tiare flower this lotion is brimming to the max with sunshine-ready ingredients. Verdict ✓ - I'm not a huge fan of body products in subscription boxes, but this one is definitely an exception. If you have ever had the pleasure of using anything from the Elemis Frangipani Range then you will LOVE and I mean LOVE this, as it's even more intense in my opinion. It's amazingly moisturising and is one of those products that just transports you to a tropical abyss.. if only in your mind. The scent is pretty strong, but if you love Frangipani or generally sweet and tropical scents you will love this, as it stays on your skin for hours after application. Described as a powerhouse exfoliator with the addition of the super-ingredient Artic cotton, known for its moisturising and dextoxifying properties. Verdict ✓ - The most impressive product in the box! - Admittedly I am a skincare junkie, so I was pretty excited to try this product, especially as I love the Arctic as a place (Plus they have a cream called Lapland Cream... I mean how awesome is that) The most impressive thing about this exfoliator is the fact that the results are instant. The skin is smoothed and soothed without any discomfort that you can sometimes experience with more scrubby exfoliators. If you're looking for refreshed skin this one is a must have. ModelCo are a brand I have used when I was a bit younger, but this was something that I was yet to try. Described as a foolproof eyeliner that glides on with ease, boasting serious staying power. Verdict ✗ - This product actually turned up broken in my BirchBox. However, I have to say the team at Birchbox did address the situation pretty quickly and I was sent a brand new liner with no extra fuss. However, I haven't been impressed with this liner and much prefer my Collection felt liner. I'm not sure if it's because I'm not used to the texture, but I just found this to drag slightly. Overall, I do really like BirchBox but I'm quite interested to trial another subscription box to compare - What beauty subscription would you recommend?